Great intensity is shown on the palate with a real element of elegance present. An array of dark fruits overwhelms the palate with great spicy elements lingering with the firm, fine tannins carrying an impeccable acid line with them. With our love for the ocean and the stunning coastline on the cusp of McLaren Vale being a massive draw card to calling this fantastic little town home it made sense to link the name of our Reserve Shiraz to it. The Squid Ink name originated from the enticing first impression of the black, dye like depth of colour this wine resonates. Our Squid Ink vineyard is the epitome of what defines one of the greatest vineyards in Australia where the famous Black Bay of Biscay Clay soil ensures fantastic fruit. Referred to by some local friends as ‘Mayfair’ the use of sustainable viticulture and having true respect for the value of our vineyards and the fruit they create. In the winery the Squid Ink Shiraz fruit is treated with utmost respect, ensuring quality from start to finish. Fermented slowly for gentle extraction of colour, flavour and tannin, the wine is monitored closely. Following fermentation, the wine is then matured in the finest of predominantly new American oak barrels for 18 months. Good autumn rain allowed for good start to soil moisture levels and despite a relatively dry winter soil moisture was sufficient. Favourable condition during flowering and bunch set gave a great start to the growing season and the continued mild conditions allowed for nice even ripening. The continued mild conditions did extend the ripening period allowing for relatively early ripening of grape tannins and an ability to harvest at lower than usual sugar levels. I believe tannin ripeness is key to a balanced wine, so the early ripening of tannins allowed us to pick at lower sugar levels and in turn slightly lower alcohol and good natural acidity. Small berries made for great concentrated fruit and fantastic colour. Colour: Deep intense dark, almost black with a purple hue. Nose: A bright and intense bouquet burst from the glass delivering a sensory overload. The to be expected intensity of ripe dark red berry fruits along with welcomed blueberry, leave nothing to the imagination with beautifully complimenting hints of clove spice, bundled in sweet coconut overtones. Palate: The concentrated fruit gives a great sense of fruit quality with a beautiful, rounded mouth feel. The hallmark depth of flavour and length carry the firm but fine grain tannin experience through the full length of the palate leaving an impression of complete harmony. 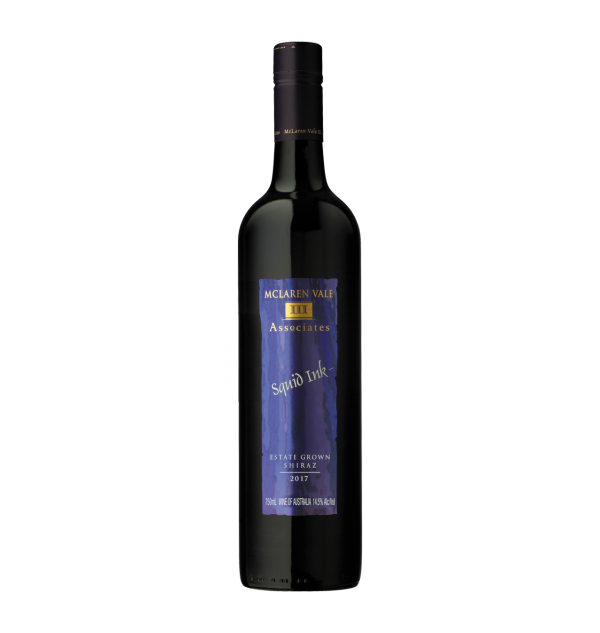 This wine is what we believe to be a true representative of Shiraz from our region. As an Estate owned, sustainably grown, single vineyard Shiraz, we have the ability to deliver a world-class wine consistently that is truly at the top of its game. This wine, like our lives, is wonderful in youth, but with patience and development of the wines fruit, along with the integration of the finest of oak this wine will also develop wonderfully.